An integrated pop-up trimmer helps complete your facial grooming routine. This trimmer is ideal for trimming and shaping sideburns, goatees, mustaches, and more. 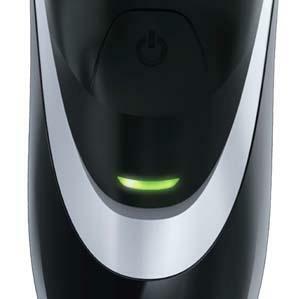 For convenient care and maintenance, Shaver 3500 razor is fully washable. 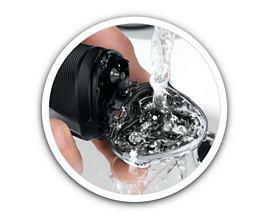 After use, simply hold the razor under running water to clean. This razor also comes with a cleaning brush for more thorough cleanup. 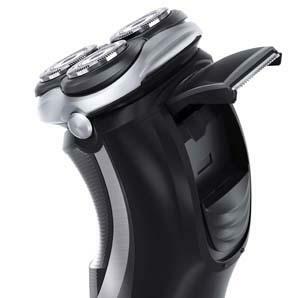 The Shaver 3500 offers the convenience of dual operation so you can take it with you wherever you go. A full eight-hour charge will last for up to 40 minutes of cordless shaving, and a three-minute quick-charge option gives you enough power for a single shave. An LED indicator panel lets you know when it's time to recharge the Lithium-Ion battery.